Ginger for Menstrual Cramps, Pain Recovery, Weight Loss, & More! I love ginger. It’s so darn good for you and it adds a kick to food that’s just amazing. So, today I want to go over some of the amazing benefits of ginger. And also talk about how you include more if it in your diet. My mom was going through chemo some years ago. And the buzz word was ginger. It was the perfect antidote for the inevitable nausea that comes with chemo. My mother was lucky going through chemo (well, as lucky as you can be going through chemo) in that her stomach never got that upset But since then, I have a whole new respect for this amazing root. Because it can benefit you in all sorts of amazing ways. Get this. Back in 2009, there was a study evaluating the effectiveness of ginger on menstrual cramps. The study took 150 students and divided them into three groups. One group was given ibuprofen for menstrual cramps. Another group was given mefenamic acid (as in NSAID drugs.) And a third was given ginger. And guess what? All three groups had a significant reduction in menstrual cramps! And there was literally no reported difference in cramp severity between the three groups. So, as that time of the month draws near, make sure you have ginger on-hand. Maybe even take some before you have your first symptom. That way you can attack menstrual cramps before they start. Because not only is this option all-natural. Purchasing it is really cheap! One of the amazing qualities of ginger is that it is an anti-inflammatory. That’s why patients with osteoarthritis use it so often. But what you might not know is that it can be used to reduce the pain and strain that comes with heavy exercise. A study in 2010 showed that daily consumption of both raw and heat-treated ginger had an amazing effect on exercise recovery rates. 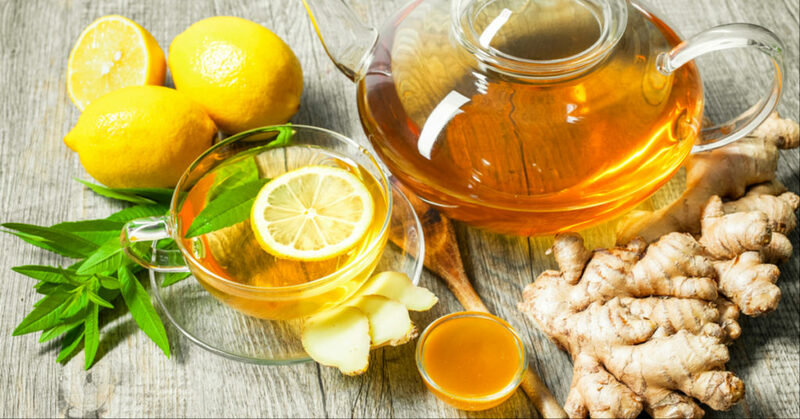 Meaning that people who consumed ginger on a regular basis had a significant reported reduction in muscle pain after exercise. How amazing is that? Many people don’t understand that inflammation is a strong contributor to obesity. And inflammation reduction is an essential component to long-term effective weight loss. This spice along with a healthy diet and lifestyle can you not only lose weight, but keep it off. A study in 2013 compared the effects of ginger versus orlistat (synthetic drug to treat obesity) on weight reduction in rats. Some rats were given ginger powder while others were given the synthetic drug. And what the study found is that there was significant weight reduction in both groups. Studies with animals don’t always yield identical results with humans. But since ginger has so many other healing properties, you can’t lose by adding it to part of your weight loss regimen. The healing uses are endless. In most cases, you can safely use ginger, along with your regular treatment protocol. That doesn’t mean you should stop taking your medication. Talk with your doctor before making any changes. . Also talk with your physician before bringing this spice into your diet in high doses. And remember, ginger is just one piece of a healthy lifestyle. Steep it as a tea. As a side note, don’t overdo it with the crystallized candy version. It’s soooo good! But keep in mind that it’s also loaded with sugar. So there you have it. Ginger is amazing. Reduce your menstrual cramps, your exercise recovery time, fight nausea, and do so much more. Now that you know the benefits, how can you bring a little extra of this spice to your life? I always knew about Ginger for nausea , but never really knew it had so many other benefits. I will have to start incorporating it into my diet some more for sure. 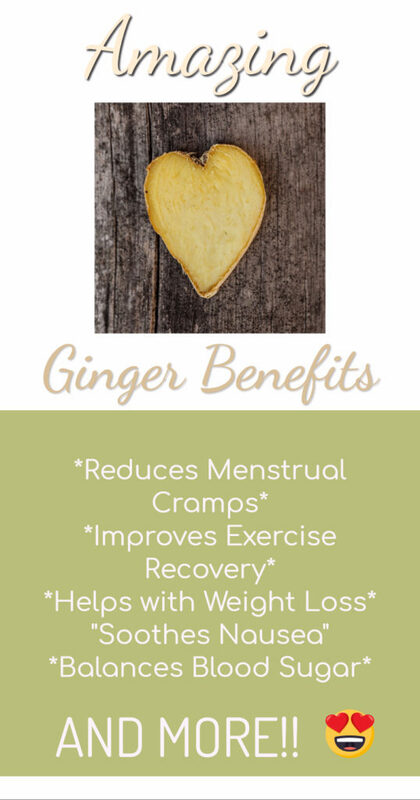 I hate the taste of ginger, but all these benefits make me want to start taking the supplement! I never knew ginger could be so versatile. I am definitely going to look into for the menstrual cramps. They aren’t bad all the time, but when they are, it is so uncomfortable. Oh wow! I had no idea the many uses of ginger! And I always have this root in my kitchen!!! I usually rely on Ginger whenever I have a cold because it soothes my throat when I make Ginger tea. But with your post I believe I will be using Ginger more often now. Thanks for the post! I knew that ginger was good for upset stomachs. We even have ginger lozengers for that. However, I didn’t know that ginger was good for so many other things. It’s amazing, what ginger can do. I had no idea. I always thought it was just to help with sore throat. I’d love to check out the different ways I can include ginger in my diet. I have actually heard about this. GInger is good for so many different ailments. Cramps are the worst! I love ginger! I heard about it with weight loss and nausea but not with cramps! These are good facts to know! This is pretty awesome to learn. 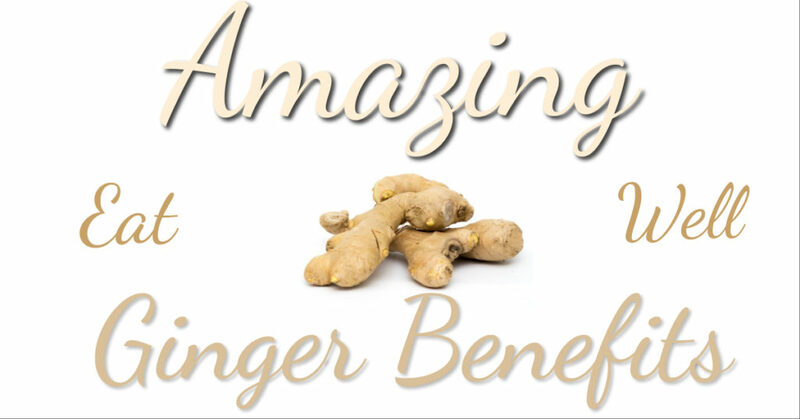 I had no idea that ginger has so many benefits, which is amazing! I think it’s really something that we should consider having in our diet, especially since it helps fight cancer and a lot more. Ginger is a wonder drug! I am not partial to the taste, but I will use it because it is so effective. I would try anything at this point for relief. I will have to look into ginger! Chemo didn’t make me very nauseous either, but that’s when I first started reading more and more about ginger. Now as I am planning to gradually make huge changes to my diet post-cancer treatment, I’ll keep ginger on my radar list for its many beneficial properties. I never knew there were so many uses for ginger. I don’t love the taste of it but I bet I could get past it. I often turn to ginger when my stomach isn’t feeling all that great. I also use it in my stir fry. I had no idea it had other benefits for working out or relieving menstrual cramps. Definitely to to up my intake. I have some serious cramps around that time of the month, and NEVER knew that ginger could help in that department. Great tips. Thanks for sharing. WOW i never thought to use ginger for cramps!!! WHat a natural relief! I am going to try these ideas next month! I’m always surprised at how many natural remedies are out there. I would love to try ginger out for more things going on in my body. I have never heard of ginger for cramps before – that is awesome! And something I am definitely going to try. I honestly don’t eat ginger often but you have me convinced to add it into my diet more frequently. What a great super food. Ginger is amazing! It has a myriad of benefits for maladies and ailments. It is my go-to remedy whenever I feel like a cold is coming on. I always drink herbal tea with ginger =) It helps with so many things!